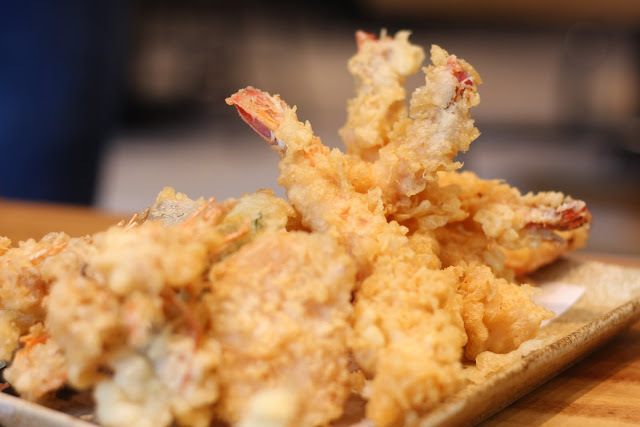 We often think of prawns when we hear the word "tempura", but did you know that anything you can batter and fry can actually be called a tempura? 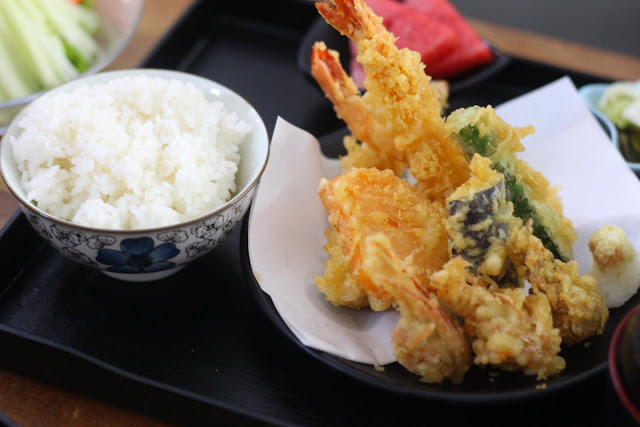 Tempura is a very common yet incredibly loved dish in the country. 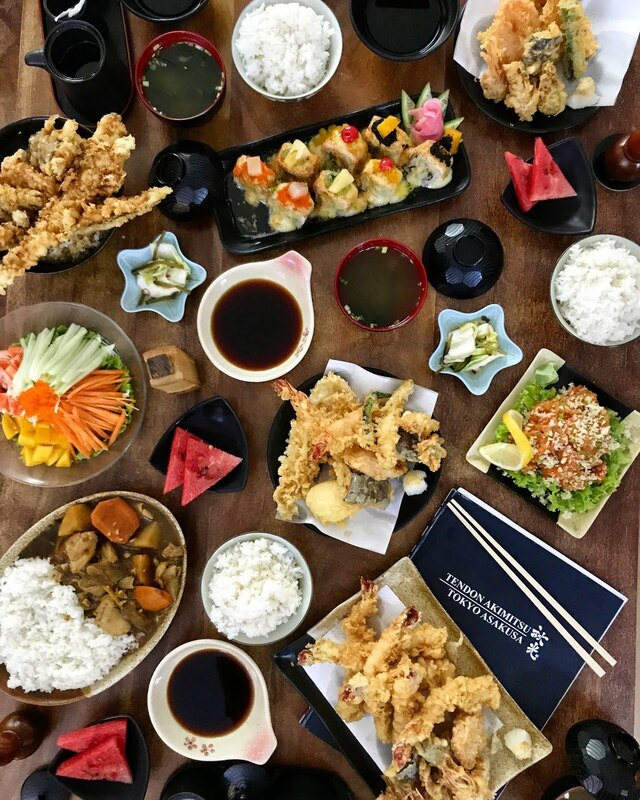 In fact, it is so loved that you might not even be able to snag a few pieces of tempura at a buffet restaurant; not even if they just refilled the tray. 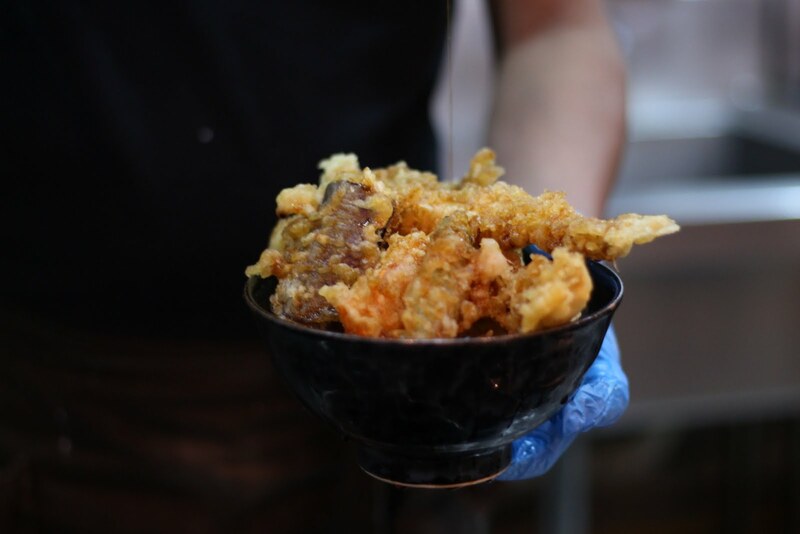 But to be honest, if you really want to have some tempura, there are a lot of Japanese restaurants you can count on, and one of the best ones I've had so far is Tendon Akimitsu. Tendon Akimitsu was first opened by Chef Akimitsu Tanihara after years of working for a well-known Tendon restaurant in Japan. 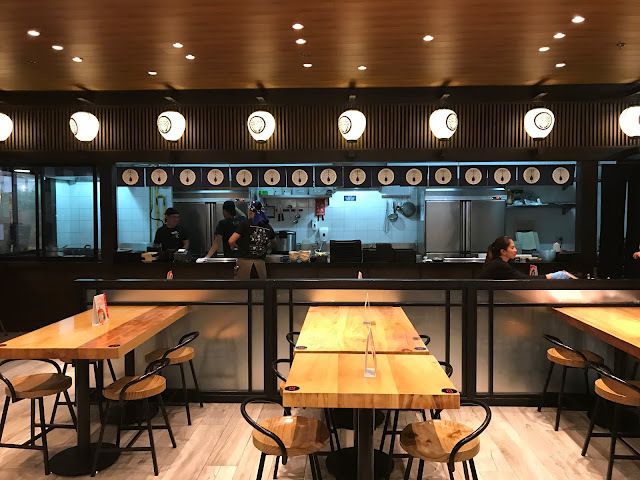 The restaurant has made its way from Asakusa to Manila, which was made possible by same group of people that brought Ramen Nagi to the country. 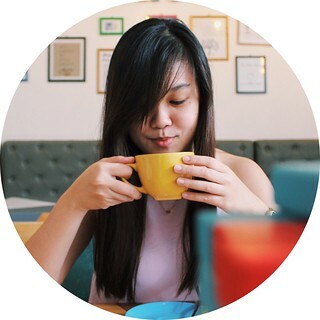 This explains why Tendon Akimitsu can be found in the same space as the famous noodle shop, and why you can enjoy your ramen and tempura all in one venue. There are a few things I found different about Tendon Akimitsu's tempura as compared to other tempuras I've tried. Their batter had a nice consistency - not too light, but not too thick. Batter to meat ratio was excellent. The dish was also perfectly seasoned. 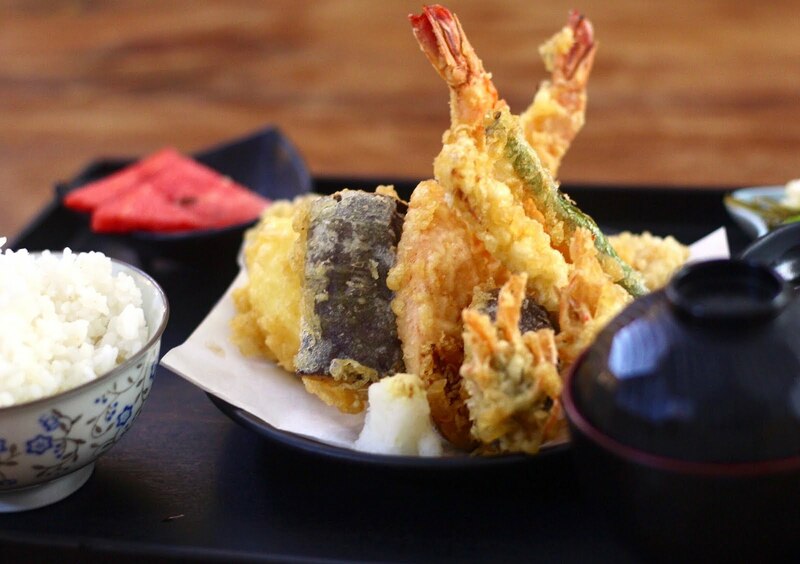 Add the crispiness to the mix and you get a heavenly tempura. The anago don is a limited time offer from Tendon Akimitsu, and definitely a must try, so hurry while you can still try it. 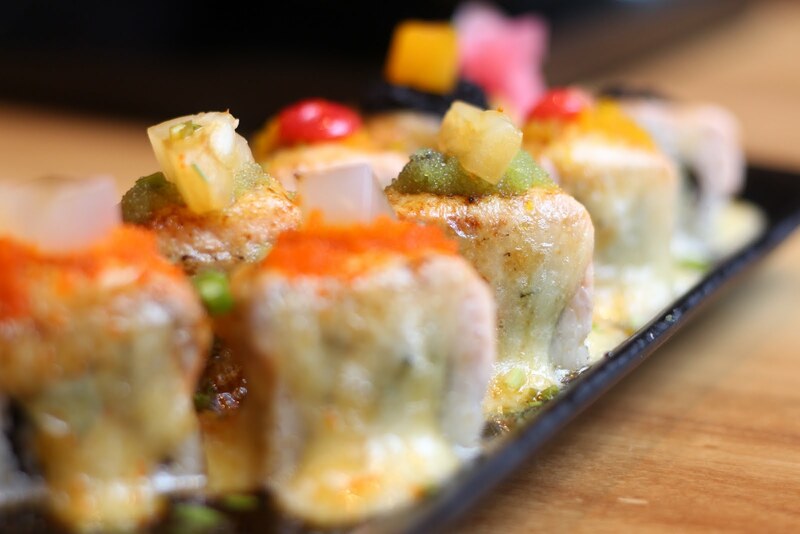 The anago don is battered salt water eel drizzled with some sweet sauce and served on top of Japanese rice. What made this dish so special? The anago is something I have tried just now, and it's a lot different from the unagi that it has little to no bones at all, great for an uninterrupted meal. The meat also tastes similar to a fish - fresh and light, an ideal pair for the sweet sauce. The set comes with soup and fruits on the side. 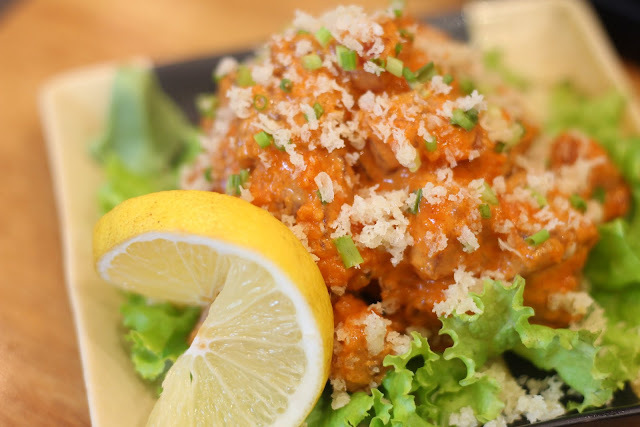 Raw tuna sashimi cubes tossed in spicy sauce, served on a bed of green lettuce and topped with sliced green onions and crunchy tempura batter bits. 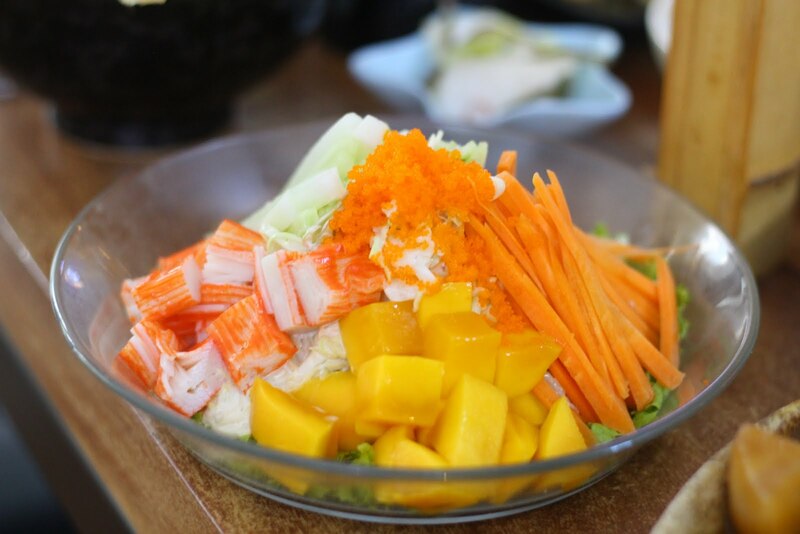 Large diced mangoes and crabsticks, and julienned carrots and cucumber on top of shredded cabbage, and a bed of lettuce with kani dressing. 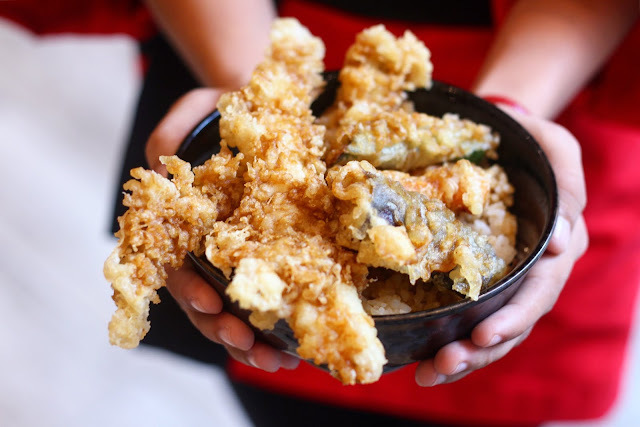 I can't wait for Tendon Akimitsu to open another branch around Makati area, so I can have a tried and tested tempura restaurant I can easily visit when a craving comes.